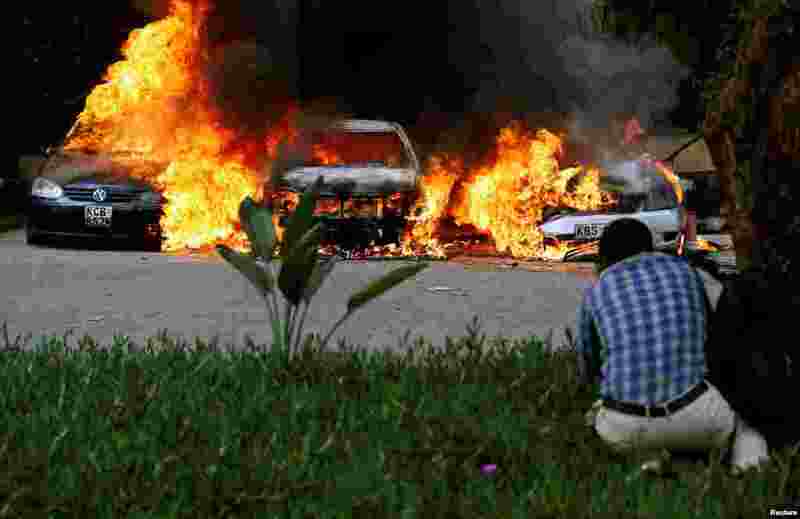 1 Cars set on fire burn at the scene of explosions and gunshots in Nairobi, Kenya. 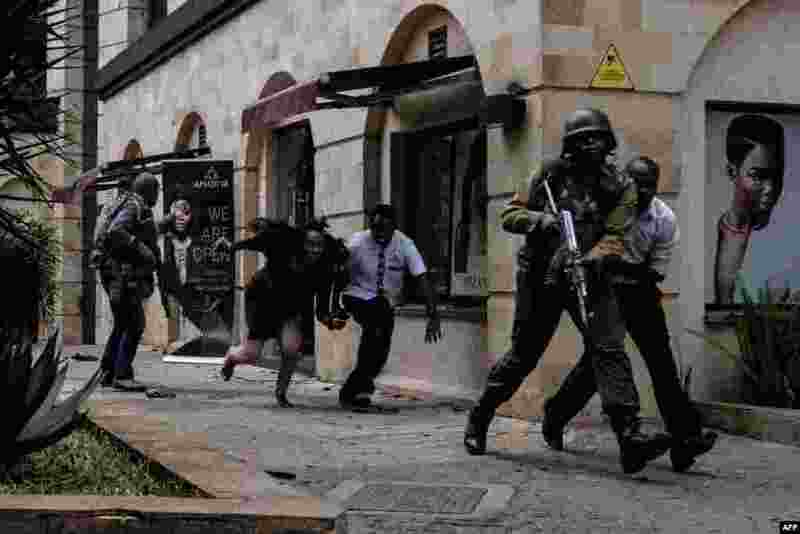 Gunmen blasted their way into an upscale hotel and office complex in the capital, killing at least five people and sending workers diving under desks from an attack claimed by Somali Islamists al-Shabab. 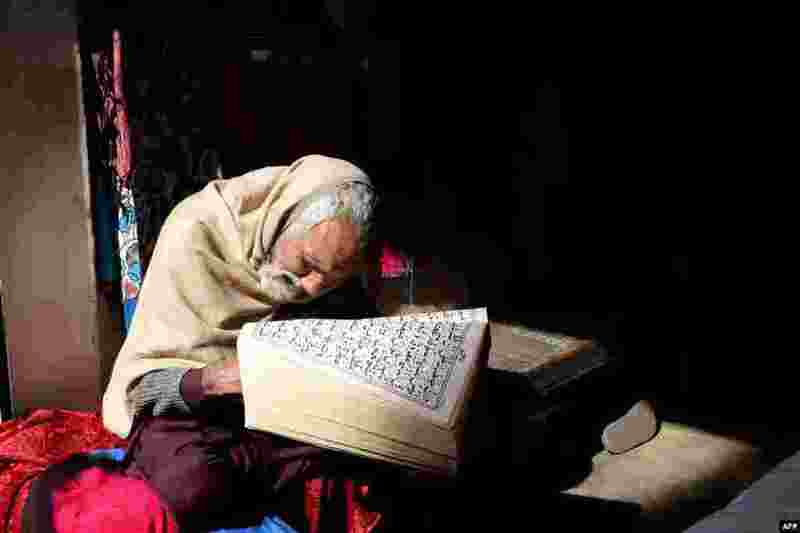 3 A Pakistani vendor of women's garments reads the Koran while waiting for customers at his shop in Lahore. 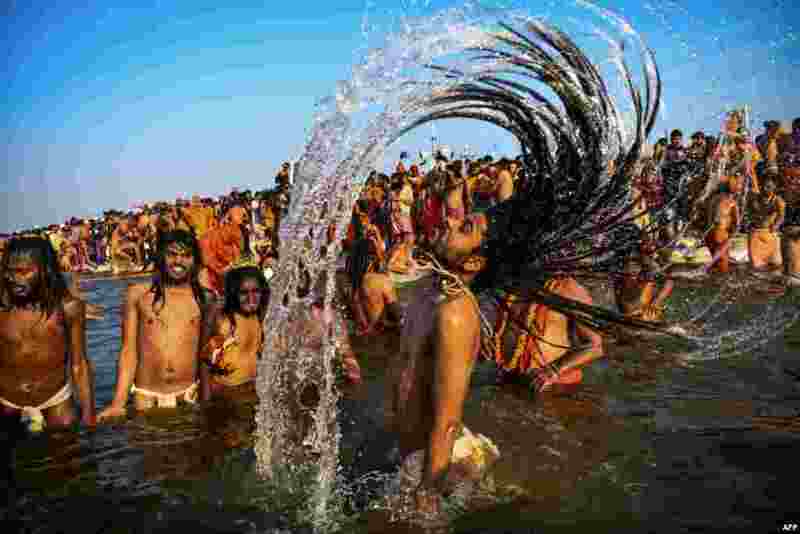 4 Indian sadhus (Hindu holy men) take a dip into the water of the holy Sangam — the confluence of the Ganges, Yamuna and mythical Saraswati rivers — during the auspicious bathing day of Makar Sankranti at the Kumbh Mela in Allahabad.